In Australia, mining, other industry, and regional and housing development is slowly destroying the habitat of our Koala. I’ve had friends from the UK and Wales visit me in Adelaide, and I hired a mini bus and took them on a trip to visit our wineries, including a gourmet lunch with a great view at The Lane Winery, Woodside cheese tasting, a chocolate and lolly shop, a renowned bakery at Lobethal, and most importantly, the Cleland Wildlife Park, where they could actually hold and cuddle a Koala for a photo, as well as feed kangaroos, wallabies and emus. A couple of my guest did not actually believe we had any live ones, as she had been to Kangaroo Valley, and seen not even one kangaroo! I was, of course, delighted to prove we have them. But, if our mining companies and so-called regional and housing ‘progress’ at places like Port Stephens keeps going, without any concern for our famous Koalas, also one of our national icons and a major tourist attraction, Australia may one day, only have them locked up in a zoo. This, from my apparently very patriotic Aussie perspective, would be a tragedy. I detest zoos anyway, as cannot bear to see animals in cages, in fact, the reason I do not have a dog in the city is because I believe they need more space to run around in. Perhaps my 16 years on an almost 5000 acre farm as a child had too much of an impact on me?! Be especially kind to each other… today, and every day. I’m a Bit confused is that Shilbley in his Koala hat in the middle or without the hat on the left. As I have never seen him without his Koala hat all the time he was in Australia. 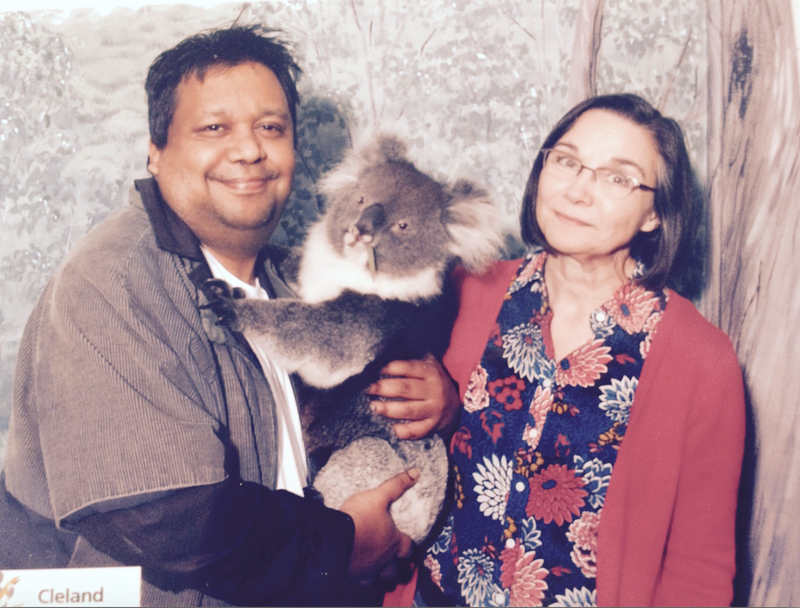 Pingback: Worried about our Koalas… | Never mess with a Senior!! !